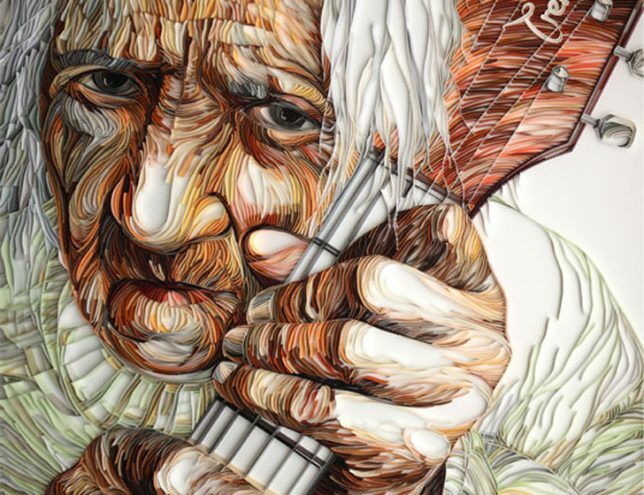 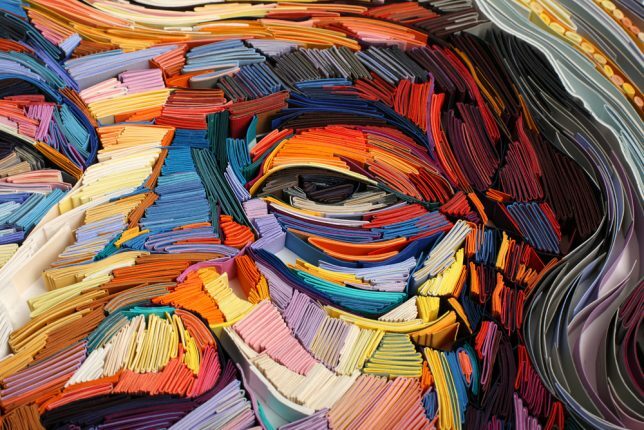 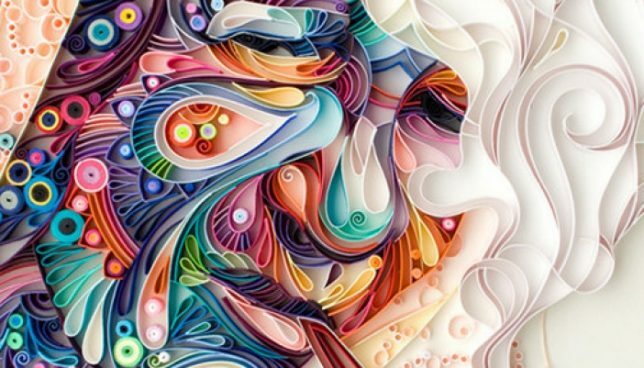 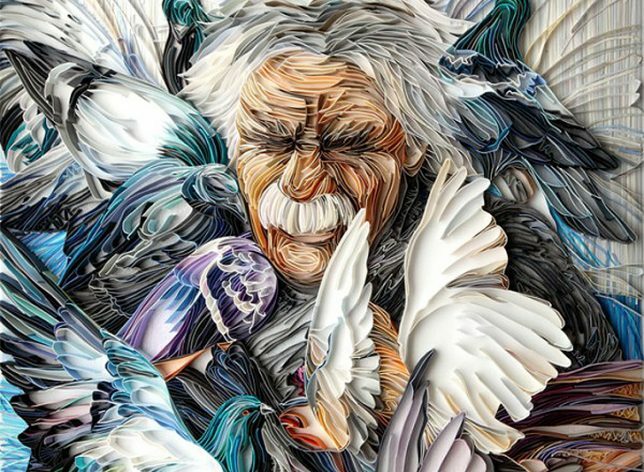 Expanding upon a previous body of work that’s more graphic in nature, paper artist Yulia Brodskaya presents a new portrait series capturing the expressive qualities of aging faces in vibrant hues. 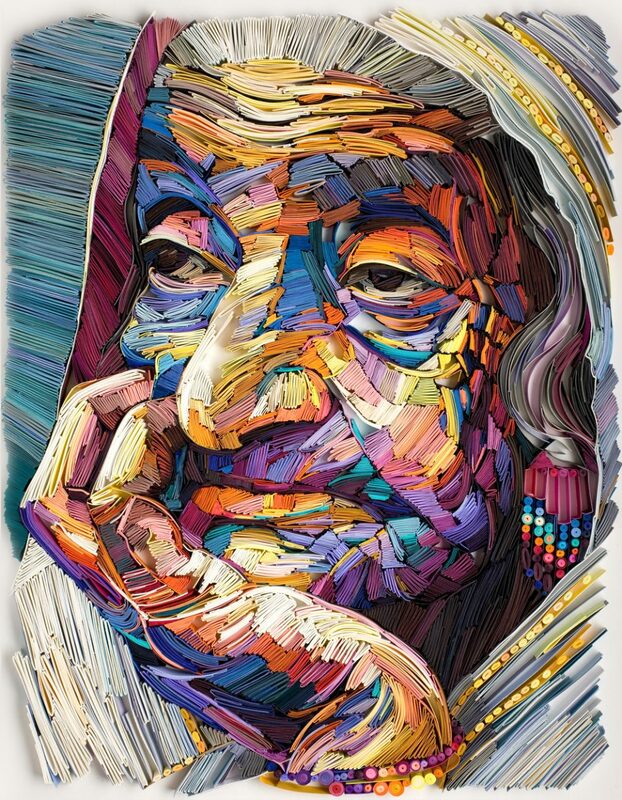 The Russia-born artist and illustrator is known for rolling strips of paper into ‘quills’ and painstakingly gluing them together into colorful, three-dimensional designs. 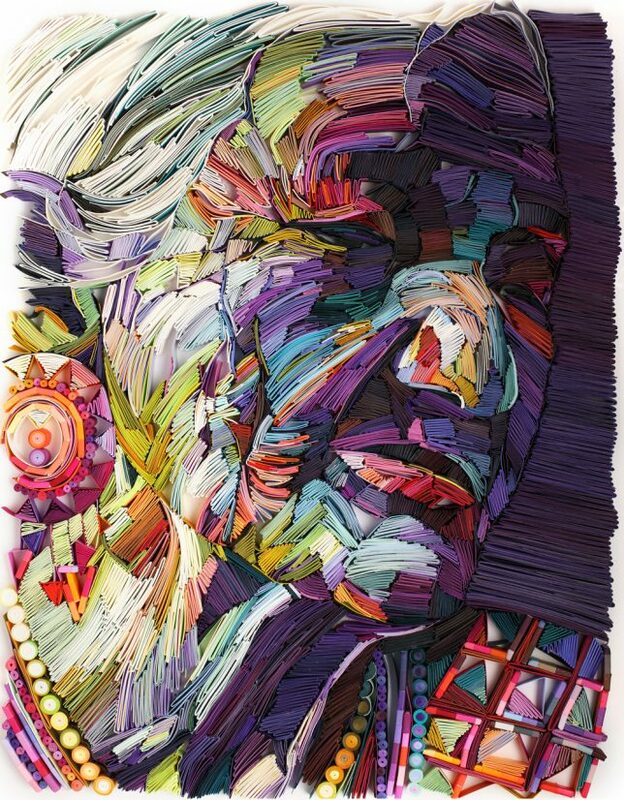 The new portraits are named Jade, Topaz and Amethyst, and reveal a more painterly method that tightly packs folded pieces of paper into each composition. 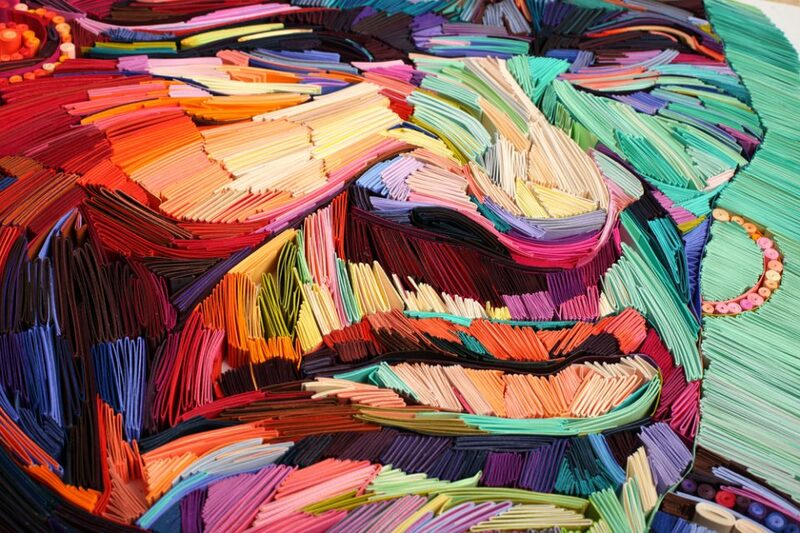 The effect mimics the look of brushstrokes, with wrinkles, folds and other sculptural details rendered in lush jewel tones for an expressionistic result. 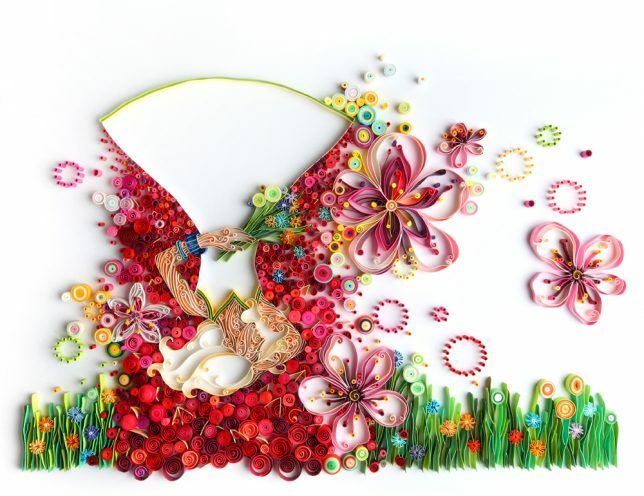 The former graphic design major discovered her love for the tactile qualities of paper art and abandoned computer programs, producing hundreds of projects and commissions over the last 7 years. 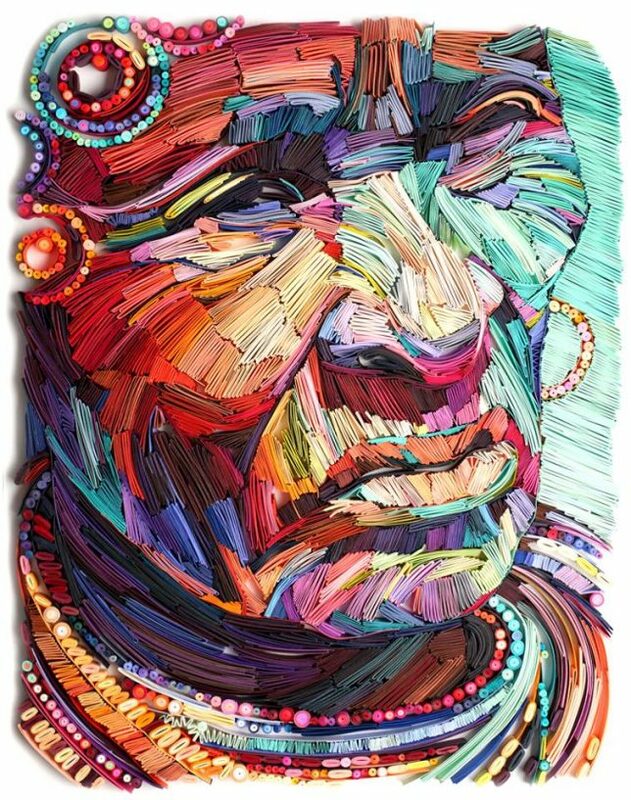 “The new expressive way of using the strips of paper that I discovered recently (and first time used as a primary technique in the Wimbledon artwork) is really exciting – it allows me to achieve more ‘sketchy,’ artistic look for the paper art and I’m excited to keep experimenting with it (though it’s a shame that this method is not much faster than the neat and refined way of gluing strips one by one)… Despite the slow process I enjoyed working on this portrait tremendously: the abundance and richness of colors makes me feel good,” says Brodskaya.